Theresa came to us with her love of the color purple, and butterflies. 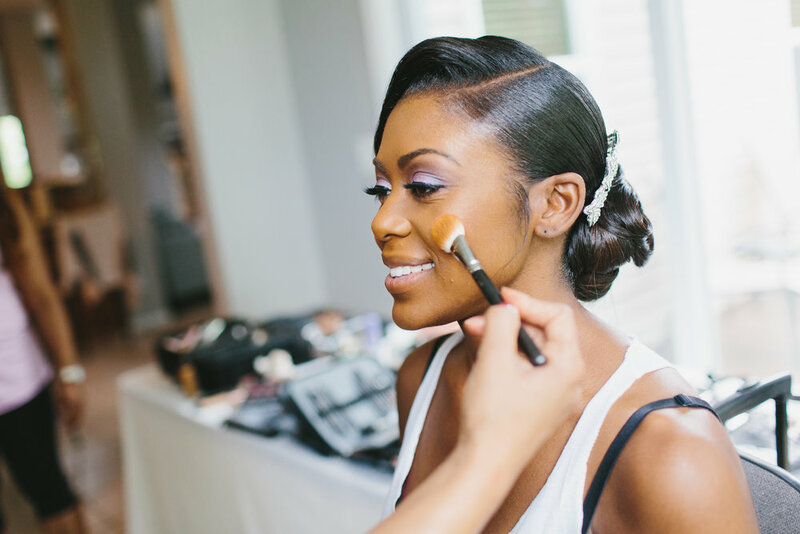 Through her décor and floral arrangements, we were able to capture her vision. 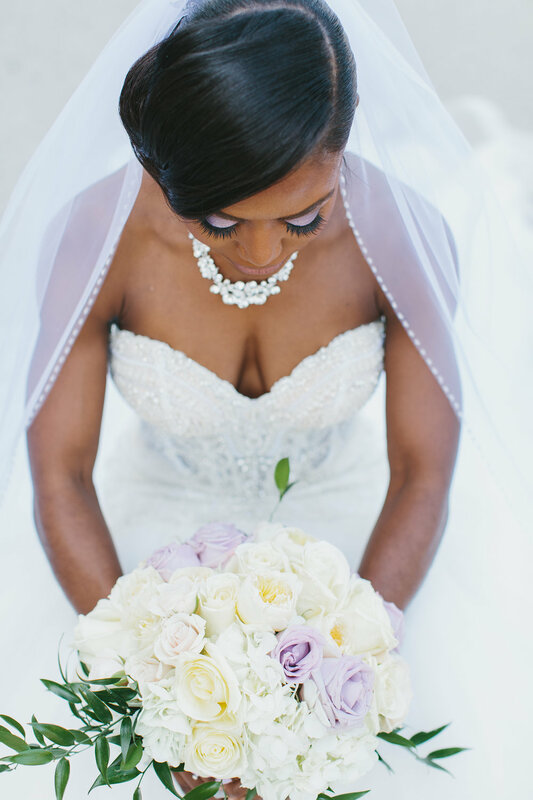 For Theresa’s bridal bouquet we incorporated garden roses, with the subtle lavender purple color of ocean song roses. 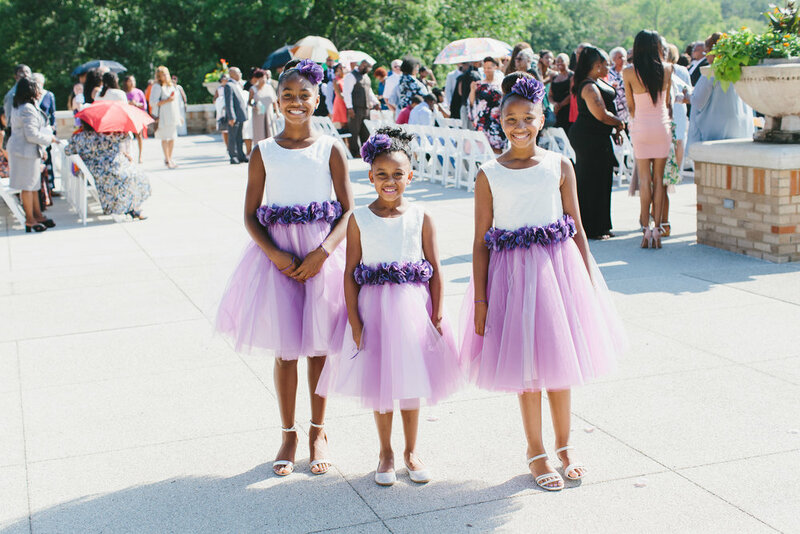 With her bridesmaids dressed in purple, we left their bouquets to be crisp and clean using large white hydrangeas. Inside the reception hall we created two different centerpieces to fill her guest tables. 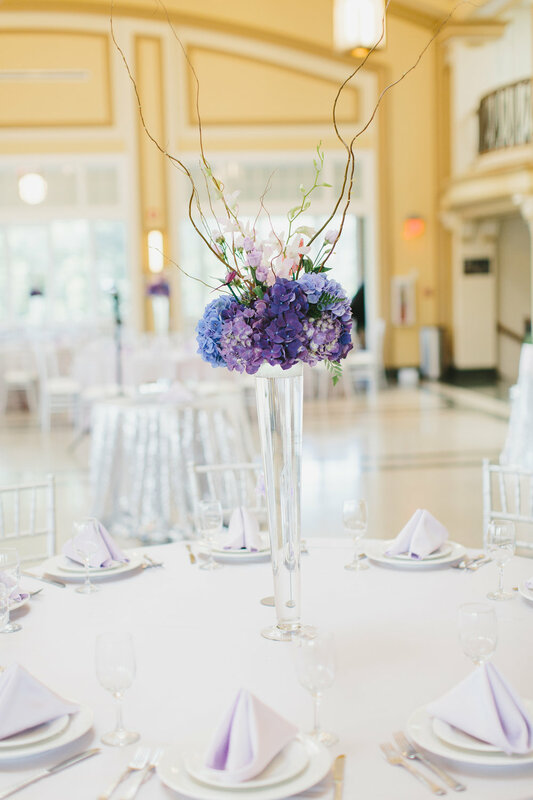 In the tall centerpieces we used beautiful large purple hydrangeas, orchids, Italian ruscus and curly willow and in the other centerpieces we submerged orchids in a trio of vases with crystal lights to fill the bottom. 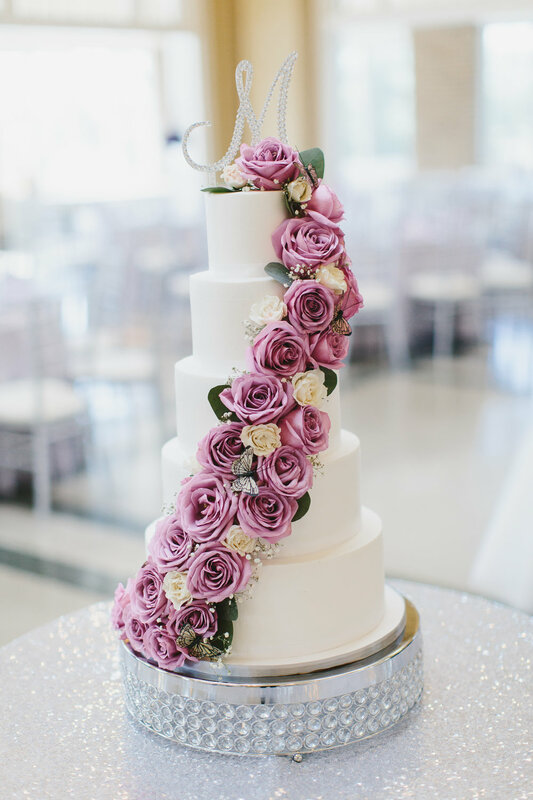 On Theresa and Chris’ sweetheart table arrangement we incorporated lavender hydrangeas, ocean song roses, orchids, lisianthus and a mix of greenery including Italian ruscus and plumosa. Not only did we provide floral and décor for Theresa and Chris, but we had the pleasure of being their day of wedding coordinator. Over the month we spent planning with them, we got to learn so much about them, including the way they met and how they started off just being friends. A few weeks after their wedding and their honeymoon we had the pleasure of seeing them again. They both walked into our shop glowing and with huge smiles on their faces. There is so much love between the two of them, and we could not have been happier being a part of their day.